The JS11 Dinky has a poplar body, bolt-on maple speed neck with graphite reinforcement, and 12-16" compound radius rosewood fingerboard with 22 jumbo frets and white dot inlays. Other features include dual high-output Jackson humbucking pickups with ceramic magnets and three-way blade switching, synchronized fulcrum tremolo bridge, Black hardware and die-cast tuners. Great second/backup guitar or nice for a starter at a low low price. Overall a really fun one to own. Speed neck feels really great, also nice for small hands or anyone learning to play. Fun super-strat type guitar to modify. Pickup output is very good, (a noticeably higher volume compared with either MIM Strat or Epiphone Les Paul) but with none of the strat pickup buzz, very quiet when not playing. Bridge pickup has great harmonics for rock or metal and leads, neck pickup can get a nice blues strat type tone if you have a nice amp. The 3-way blade pickup switch was quiet when used. Tuners were alright, replaced with Grover mini rotomatics. Body is comfortable and very light, lighter than a MIM strat, because it is 7/8 the size of a strat. If you like using a Floyd Rose type tremolo this is not for you, move to a Floyd equipped model. I had the tremolo blocked Eric Clapton style with 2 trimmed wood blocks placed inside the back interior tremolo system. Would have preferred a hard tail bridge. The metallic blue finish was top notch, really sharp. .Did not and would NOT buy one of these Chinese models without trying it first. I purchased mine at a music store in Everett, WA. I was slowly leaving the store after picking up some strings and decided to pull a sub-200 Jackson off the wall just to see how bad it was and in less than ten minutes, I was paying for it and carrying it to my car. It kind of feels like an old Charvel Model 1 from the 80's, without a real smooth oiled neck, if that makes any sense. Was pleasantly surprised with the pickups and the hardware isn't even that bad. Once I swapped and stretched out a fresh pair of 11 gauge strings, it managed to stay in tune mostly. I lucked out with the build quality of mine, but others I've tried have played poorly and amounted to little more than expensive firewood. .I wanted something that was easy to tune, easy to play, and easy to own. 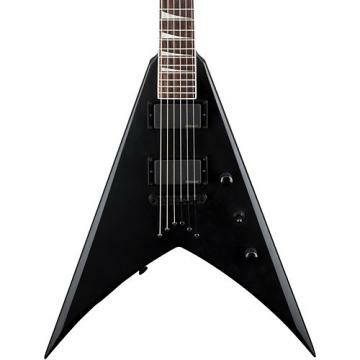 The Jackson JS11 is just it. No complaints from me. I tune this thing in less than 10 seconds. I can't take away from the feel and the sound quality. Sounds really good through the amp, plays smooth, and I started to even pick up more as I went along. I haven't played something like this since I was a teen. It doesn't have the complications of a Floyd Rose (they are great but can be a chore at times), but it does play with great quality. I took the whammy bar out and had a ball. It's hard to put it down. .I have been playing guitar for about twenty plus years. I'm very particular about what I play. GC. Took it home, played on it all evening. Next day gave it a set up and leveled the frets. recording. It just goes to show, ya can't judge any guitar by the price you pay for it! .I've bought many guitars over the years... made here and abroad. And I can be very picky about things. I'm totally blown away at the build quality of this instrument... it's very impressive. Don't let the price fool you. These truly are diamonds in the rough. My recommendation would be to get one before they're gone.